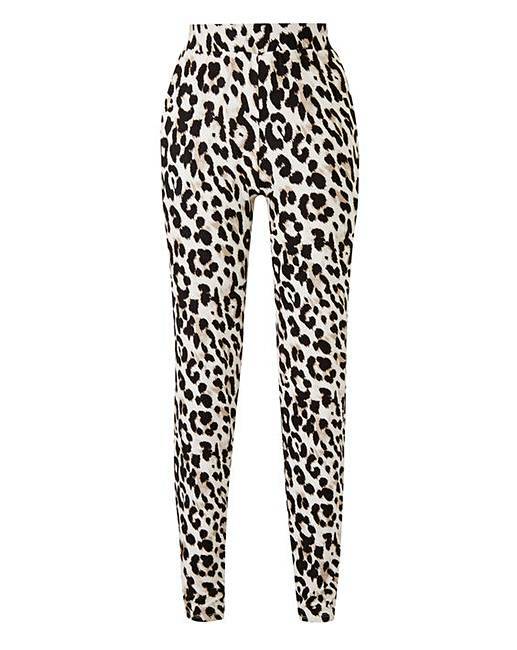 Leopard Print Jersey Tapered Trousers is rated 4.6 out of 5 by 5. Comfy stretch jersey fabric. Fully elasticated waist and two front slant pockets. Great 'on trend' print design. Easy to wear comfy pull on style. Rated 3 out of 5 by Pooch from Nice material and comfy Lovely and comfortable but after washing them the elastic inside the waist band had moved so it don’t sit flat and you can feel it around your waist.